Click the button below to add the Dark Sea Salt Chocolate Almonds to your wish list. 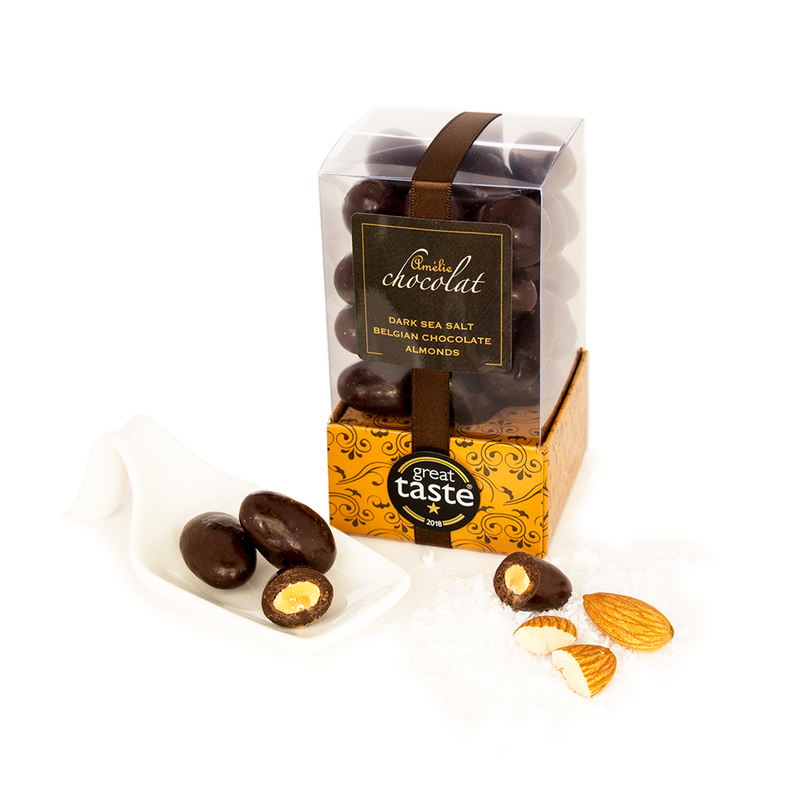 Indulge in our new award winning 70% dark chocolate almonds. Rich dark Belgian chocolate, infused with exotic Fleur de Sel, create the superb coatings for these plump roasted almonds. Boasting the renowned GREAT TASTE AWARD 2018, these superb almonds, presented in our stunning new designer cube, are a great contemporary gift with a difference.